Feasting Hunger is a rare Willpower creature card. It is part of the Houses of Morrowind expansion. 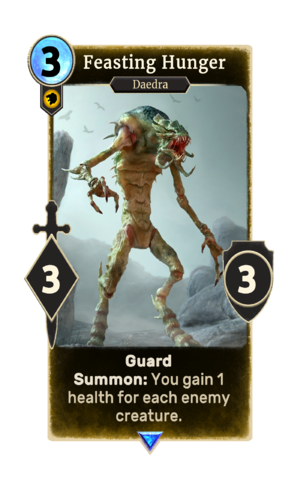 In addition to the card's availability in the Houses of Morrowind expansion, two copies are included in the Tribunal Glory theme deck, and one copy in the Redoran Onslaught theme deck.